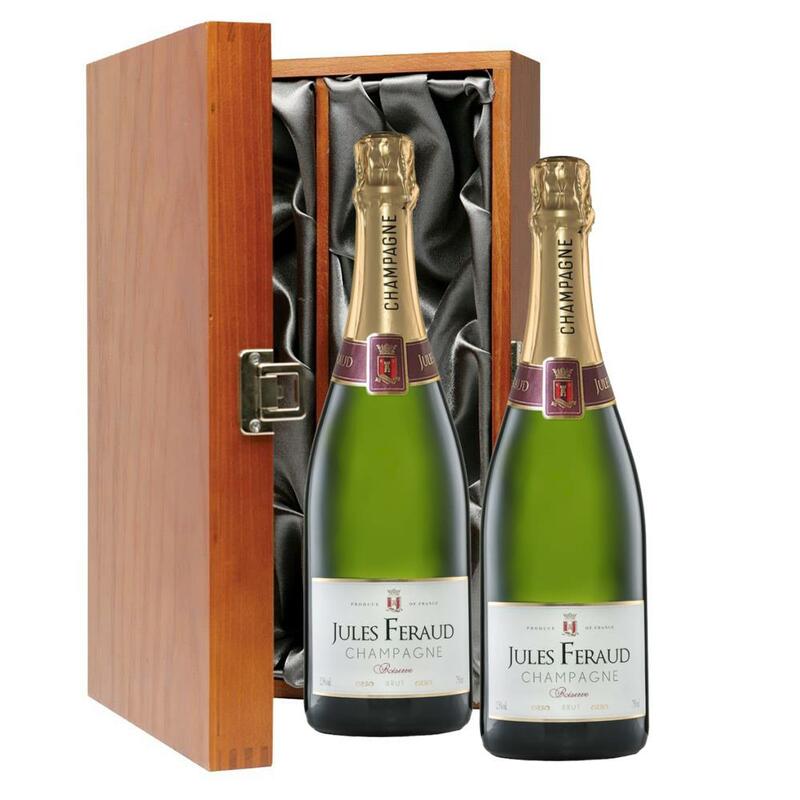 Two bottles of Jules Feraud Brut 75cl (2 x 75cl) Presented in a luxurious stained wooden box with hinged lid and clasp. The box is lined with silver satin and comes with a Gift Card for your personal message. Jules Feraud Brut is a golden champagne with rich, savoury aromas. Powerful and elegant it is a fresh dry wine with a balance of fruit and acidity. A fresh, fun and lively champagne for any occasion. This stunning champagne comes presented in a stylish gift box, with the option to include your very own personal gift card message.